2012 feels like an eternity ago. For context, Flume was playing gigs at Star Bar in Bendigo, Post Malone was still in High School and everyone thought The Avalanches were never going to release a second album. What a crazy time. 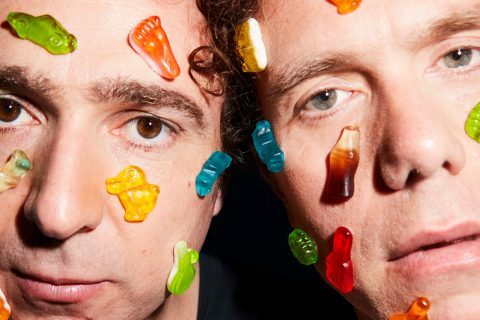 You can imagine our excitement and anticipation, then, when it was announced earlier this year that The Presets would be releasing their 4th studio album, a casual six years after their previous offering, Pacifica. Yes, the 1st of June not only marks the start of Winter this year, indeed it is also the day that The Presets will unveil their huge new record Hi Viz to the world! The album provides fans with a call back to some of the duos most memorable works – providing a high energy, non-stop, feel-good party album. Ahead of it’s release, Stoney Roads was lucky enough to catch up with half of the duo Julian Hamilton, to talk all things Hi Viz, and find out what the guys have been up to for the last six years! Stoney Roads: Hi Jules, thanks for chatting to Stoney Roads today how are you doing? Julian Hamilton: Yeah good! Just pumping through the rest of these rehearsals today and then getting ready for the tour! SR: Lovely! So the album is out this Friday! JH: It is, I can’t believe it! SR: First album in 6 years! What can you tell us about Hi Viz? JH: Ummm, well, oh gosh. It’s our party record opus (laughs)… We just wanted this time around to make a good time record that would feel like the soundtrack to the best house party you have ever been to! And yeah it’s been a long time coming, it’s been a lot of fun making it and a lot of friends of ours have been helping us out on the record and yeah we are just really psyched to be releasing it! SR: You talk about friends helping out – how does the collaboration process work for the Presets? There are features from DMA’s and Alison Wonderland listed on the record. SR: I feel like Electronic music currently is centered around big collaborations and features, but The Presets work has always been that one-stop shop – with the vocals and music all done by the two of you so you’ve never really needed that. JH: Oh totally… Most electronic artists when they collaborate – the collaboration comes first. It’s like “oh who should we do a song with – let’s get this rapper or this songwriter” and then they make a track based on the collaboration. Which is just as cool you know! But for us it was more of the opposite – It’s more of a case of writing the songs first and then thinking who would be good on this track. SR: Do you still get nervous before putting an album out? JH: Ummm no (laughs)! And I never really have only because I’ve always made The Presets music that I really like. I mean of course you want it to do well and you want people to like it but it’s more of an excitement than a nervous feeling. If we made a record that we didn’t like then I’d be really nervous (laughs). But because we dig it, and we’ve taken a long time to do it, we feel really confident that it’s a really great record and you know if it sells well then that would be great! If it charts well then that would be great as well but I’m honestly not really worried too much about that stuff. We’re just really proud of the album so there are no real nerves! 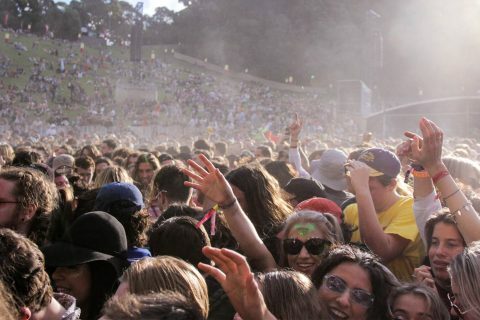 SR: Now you guys have been doing this a lot longer than most other artists in the Electronic Music scene in Australia. How do you manage to stay innovative in a genre that really has changed around you since your first album in 2005 – it’s almost unrecognisable from when you started. JH: Yeah it is isn’t it – it’s very, very different. I think the golden rule for us was always to make music that we really dig. And we tried to never sort of jump on trends – we never made a dubstep album or a trap album you know what I mean. And we have definitely seen trends come and go and it’s funny when we first started I guess we always kind of skirted around the edges of EDM. We were never really deeply in it – we always saw ourselves more of like a modern Devo – one of those weird sort of outsider bands. And we love dance music and obviously, house and techno music are really important kind of touchstone for us in what we do but we always considered ourselves more of this kooky sort of pop band… In the beginning, people said we were electroclash, and then they said we were indie dance and then they said we were EDM so we have seen genres just come and go and we were always just more interested in being The Presets and making music that we really dug so maybe that’s helped in the longevity of the band, but who knows. SR: You must have seen a lot of bands/electronic acts fall by the wayside from the time that The Presets started making music together? JH: Yeah, we have and we have been very, very lucky. A lot of electronic acts in particular come along and they are very much defined by a certain sound or a certain style. And when that style kind of becomes a bit past date the band often don’t know where to go. But I think for us – with our last record Pacifica, that was critically acclaimed and we were really happy that critics loved that, but it didn’t sell as many copies as (Apocalypso) and didn’t really set the world on fire in the same way as that record. But at the time, we made the record that we really wanted to make. The thought did cross our minds back then that we had to keep trying to write My People again though, or a sequel to that. And we tried that but it just stank. Like it really didn’t sound good to us and I think that if we had done that, and if we kept trying to make My People or any of the singles again and again we would have no career now because styles change and I think that comes back to the golden rule for us, like I said, has always just been to make music that we are digging at the time and hope that if we like it then other people might like it too..
SR: Well I’m very glad for one that you didn’t write My People v2 because it’s great to have new Presets music always! JH: Thank you very much man we’re glad we didn’t too! SR: So six years in between albums I assume you haven’t been on a beach sipping cocktails, what have The Presets been up too? JH: (Laughs) After Pacifica came out obviously we toured a lot with that – we probably toured for a couple of years in Australia and then we did a lot of touring in the States. So a lot of that time was spent on the road. And then once we finished that touring we pretty much started Hi Viz – but it was very slow I mean we really take our time when we make music. For instance, we will spend two weeks just experimenting with acid lines, and then we will spend two weeks experimenting with lush chord progressions. And we’ll build up this massive pool of material and we will chase every rabbit down every hole and we will make 50 or 60 different ideas and then we will sit down and look at it all and think “ok what kind of album do we want this to be”. We could’ve made a really introspective, moody electro-pop record if we wanted too with the material we had, but we decided that we would lean more towards a wild house party vibe. So, you know it takes a long time to make a record like that and I guess we took our time and we were a little bit luxurious in the time we took to make the album. But having said that on the side we have been doing a lot of other things – we did a huge work with the Australian Chamber Orchestra which took up 6 months of our time, Kim’s been producing for a lot of other bands, I’ve been co-writing with a lot of other acts, I did a big work with Sydney Dance Company last year and I do a lot of that kind of stuff on the side, so we keep busy doing other bits and pieces but the whole time Hi Viz has been slowly bubbling along in the back of our brains whilst we’ve been doing all these other amazing things! SR: It sounds like a real labour of love the way you and Kim go about making your music has that ever changed? JH: Sometimes it can be a bit of a labour of hate! (laughs). It’s definitely a labour of love – but I mean when I think of that, I think of people who do what they love and make no money from it. So I guess it’s not really a labour of love in that sense because it is our business and our means of income as well but certainly there’s a huge emotional investment in the music that we make and we do carry it with us in our hearts and in our heads for a long time. It’s very different to when I do co-writing with other bands for instance… I’ll meet the band one day and then we’ll write a song together and then it will be finished that afternoon. Then someone else mixes it and then it comes out on the record – it’s a lot more sort of clear-cut and a lot easier. With your own band though obviously, you care a lot more about it and it weighs very heavily on your head and weighs very heavily on your heart so in that sense it certainly is a labour of love! 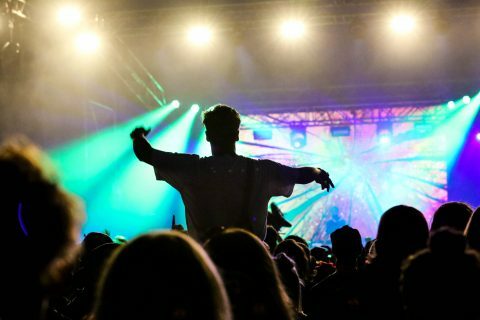 SR: You’re still based in Sydney, any comment on the current state of nightlife here? JH: It’s tricky for me. I have two young children, so I don’t get out and party nearly as much as I used to. I will just say that The Presets were very lucky to be performing when we started, in a city that had a vibrant nightlife. We were able to do lots of late gigs at lots of little clubs and we were able to play to punters who were allowed to drink beer from glass… it was just a different era and we were very lucky to come up through that scene. And it is a real shame that that seems to sort of be falling to bits at the moment because it really does decrease opportunities for the younger musicians to come through. So yeah, I would love to see some of those laws changed! 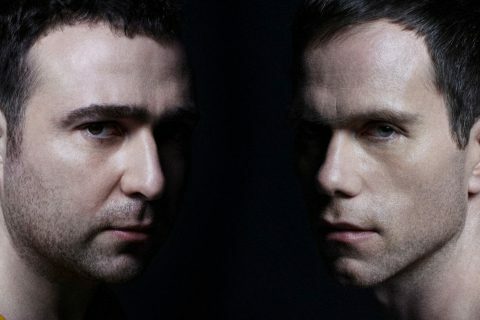 SR: Finally, The Presets will be hitting the road in a few weeks, what is your all time favourite track to play live?? JH: Gee that’s tricky!! It has always been My People because it was the big hit, the crowd would always go wild for it but now we’ve got all this new music in there from the new record which has just comes alive and when we start playing it with the drums and the lights and everything. It’s too hard to choose right now it’s almost like choosing a favourite child… It’s impossible! Ask me at the end of the tour! SR: Ok I’ll raincheck that question and get back to you at the end of the tour! SR: Alright Jules thank you so much for chatting with us today man we’re so glad the wait is over for Hi Viz! JH:It was a pleasure. Thank you very much I appreciate the chat! 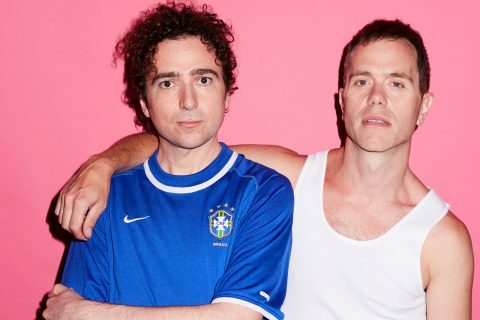 Listen to The Presets’ brand new album Hi Viz below or right here and catch them on their national tour that kicks off this month. Follow the link for all ticket and event details!